As many people know, there is no cure for the common cold. Despite that, there are a number of over-the-counter (OTC) medications available to treat the symptoms of cough, cold, flu, and probable pneumonia. The common cold is not pneumonia, but the two medical conditions share similar symptoms, including cough, congestion, and high temperature. Both are respiratory conditions, but pneumonia is localized in the lungs, while a cold primarily involves the upper respiratory tract. A person who is not a medical professional can have a difficult time determining the difference between the two, since a cold often effects the bronchi, the tubes leading into the lungs, and the upper lobes of the lungs themselves. Marketing of cough, cold and flu medications has come under stricter scrutiny by the federal Food and Drug Administration (FDA). Since 2007, the FDA has enforced a recall of cold and cough medications implicated as being dangerous to children. 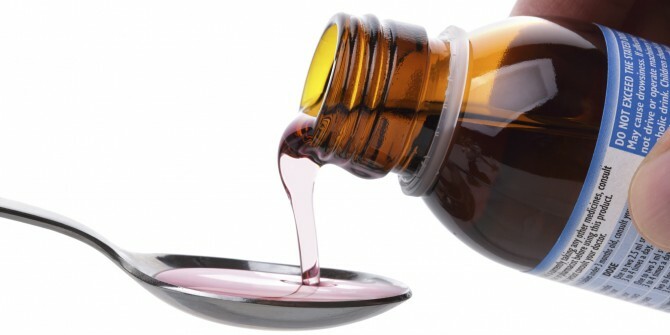 The recall involved such popular products as Dimetapp Decongestant Infant products, Pediacare Infant Drops Decongestant, Robutussin Infant Cough DM Drops, Triaminic Infant and Toddle Thin Strips, and Tylenol Concentrated Infant Drops. There is no evidence that OTC cold, cough and flu medications are effective in children younger than six years of age. To the contrary, evidence suggests that cold, cough, and flu medications are dangerous to young children. Reported problems reviewed during FDA hearings on the subject included hallucinations, increased breathing problems, neurological complications such as seizures and agitation, increased heart rate, and dangerously elevated blood pressure. 69 deaths due to histamine reactions were reported, as well as another 54 due to other causes related to the adverse effects of these previously approved and marketed medications. The drugs’ manufacturers voluntarily recalled their products, including Wyeth, Novartis, and McNeil. The prevalence and wide-spread distribution of these dangerous OTC cold and cough medications makes it probable that more deaths and more complications occurred than were reported to the FDA. Parents who use these drugs to treat their children should do so with thorough attention to the literature contained in the drugs’ packaging. If symptoms are severe enough, possibly indicating pneumonia, or their children have co-existing medical conditions, parents should consult a practicing, licensed physician or other health care provider before administering these medications. Likewise, adults who are using these medications on themselves, should carefully read through a product’s directions and contraindications before following the provided guidelines. Though these medications are provided over the counter without a doctor’s prescription, they are powerful and potentially dangerous cold, cough, and flu drugs. Since these drugs are usually purchased in a commercial pharmacy, the pharmacist on duty can always be consulted to give informed, professional advice. Even when due diligence is performed by a consumer or responsible parent or guardian to ensure adverse effects are avoided, the ultimate responsibility of a drug’s efficacy and safety resides with the manufacturer and the dispensing party. All drugs approved by the FDA are considered safe for general use by the public based on the information provided by the drug’s manufacturer. Providers read the available literature and offer professional advice based on what is available to them, as well as their clinical experience. People who experience adverse drug effects that negatively impact their quality of life when they take medications as directed, are not responsible for the negative effects they experience. A layperson cannot be expected to be an expert in the field of pharmacology. That is the job of pharmacists, drug manufacturers, and licensed physicians. When any of those parties do not do their part to ensure the public well-being, it is the job of dangerous drug lawyers and medical liability lawyers to hold them to their responsibilities if harm is done. Medical liability attorneys spend their professional lives studying the relevant issues, and they specialize in laws that govern specific products, such as drugs that are meant to treat coughs, colds, flu, or symptoms of pneumonia. Anyone who has suffered complications from cough, cold, flu or pneumonia drugs is advised to consult a professional dangerous drug attorney to establish a case of negligence. A team of experts in their field will review applicable case law, legal precedents, and the particular circumstances of a case. Class action may be justified if enough people have filed a pattern of similar claims. Individual malpractice suits against chain pharmacies or individual pharmacists may be the more appropriate way to receive compensation. An individual claim against a manufacturer may also be justified in order to receive redress against preventable damage to an adult’s, or a child’s, quality of life.